The debut of a major talent; a lyrical and emotional novel set in an archetypal small town in northeastern Ohio--a region ravaged by the Great Recession, an opioid crisis, and the wars in Iraq and Afghanistan--depicting one feverish, fateful summer night in 2013 when four former classmates converge on their hometown, each with a mission, all haunted by the ghosts of their shared histories. Since the turn of the century, a generation has come of age knowing only war, recession, political gridlock, racial hostility, and a simmering fear of environmental calamity. In the country's forgotten pockets, where industry long ago fled, where foreclosures, Walmarts, and opiates riddle the land, death rates for rural whites have skyrocketed, fueled by suicide, addiction and a rampant sense of marginalization and disillusionment. 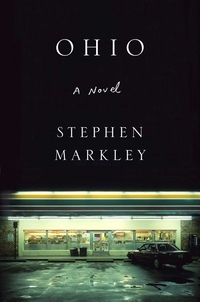 This is the world the characters in Stephen Markley's brilliant debut novel, Ohio, inherit. This is New Canaan. On one fateful summer night in 2013, four former classmates converge on the rust belt town where they grew up, each of them with a mission, all of them haunted by regrets, secrets, lost loves. There's Bill Ashcraft, an alcoholic, drug-abusing activist, whose fruitless ambitions have taken him from Cambodia to Zuccotti Park to New Orleans, and now back to "The Cane" with a mysterious package strapped to the underside of his truck; Stacey Moore, a doctoral candidate reluctantly confronting the mother of her former lover; Dan Eaton, a shy veteran of three tours in Iraq, home for a dinner date with the high school sweetheart he's tried to forget; and the beautiful, fragile Tina Ross, whose rendezvous with the captain of the football team triggers the novel's shocking climax.